Lindsey Buckingham, former guitarist of Fleetwood Mac, underwent an emergency open-heart surgery recently that ended up damaging his vocal cords. His wife, Kristen Buckingham, posted on Instagram to update her friends, family, and other people in their lives of the former guitarist’s surgery and subsequent condition. While the operation was successful and his heart is doing better, the surgery’s damage to his vocal cords was concerning. Currently, Buckingham is recuperating at home, according to his wife’s Instagram post, and he is getting better as the days go by. It’s uncertain as to whether the damage to his vocal cords will be permanent or not, his wife wrote, but she hopes that it’s only temporary. All of Buckingham’s tour dates will be on hold until he is completely healed. In a note attached to the Instagram post, Buckingham’s wife said the last year has been very challenging for them. “This past year has been a very stressful and difficult year for our family to say the least,” she wrote. Despite the difficulties, she said that Buckingham looks forward to getting better and putting everything behind him. Above all, everyone’s glad that he’s alive. The Instagram post garnered a large number of comments wishing Buckingham a speedy recovery. In addition, Fleetwood Mac tweeted their sympathies. Fleetwood Mac was founded back in 1967 by Peter Green, and he named the band after two of the members back then—Fleetwood and John McVie. In 1974, Buckingham joined Fleetwood Mac as a guitarist. During his time in Fleetwood Mac, Buckingham wrote a number of successful songs, one of which was “Go Your Own Way,” the lead single from the band’s highly-successful 1977 album “Rumours,” according to CNN. Fleetwood Mac went on a hiatus in 1982, and after five years, they decided to go on tour. Buckingham decided not to and backed out, but rejoined the group later in 1992. He met his wife, Kristian back in 1997, shortly after he rejoined the band once more. Then in 2018, it was announced that Buckingham would no longer tour with Fleetwood Mac, and the band announced a new lineup, according to RollingStone. A representative from the band confirmed to CNN that Buckingham and Fleetwood Mac would go their separate ways. “Lindsey Buckingham will not be performing with the band on this tour. The band wishes Lindsey all the best,” the band said in a statement on April 9, 2018, according to Billboard. Buckingham sued his former bandmates for $12 million, stating he felt he was able to perform, and was seeking his portion of the income, according to CNN. The parties settled out of court. Buckingham struggled with leaving Fleetwood Mac for a long time. A month after he left, he opened up about what happened. “I have sadly taken leave of my band of 43 years, Fleetwood Mac. This was not something that was really my doing or my choice,” Buckingham said, during a performance in Los Feliz, Calif. on May 11, according to Billboard. He was performing for a fundraiser campaign for Mike Levin, a California Democratic congressional candidate at the time. Since his firing, Buckingham reached out to his former bandmates in an attempt to contact them via email about the band’s “radio silence” or lack of response, but ultimately was unsuccessful in getting a reply from them, according to RollingStone. He reportedly did not speak to any of his bandmates thereafter. “Am I heartbroken about not doing another tour with Fleetwood Mac? No, because I can see that there are many other areas to look into,” Buckingham said. 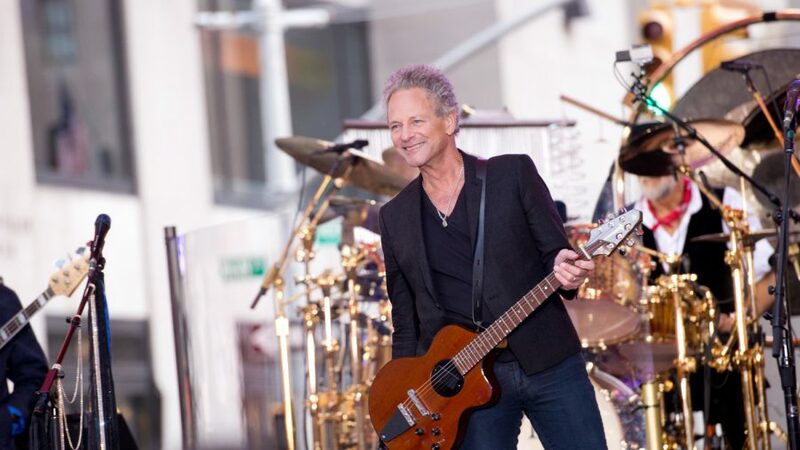 In the meantime, Buckingham worked hard to promote his own tour with his new bandmates, called “Solo Anthology: The Best of Lindsey Buckingham,” which is a compilation of all the pieces created from records he made outside Fleetwood Mac since the eighties. The former Fleetwood Mac guitarist, since going his own way from the band, also worked on and completed his own solo album, which is tentatively named “Blue Light.” The album is set to come out this year. It was a pleasure performing songs from the #SoloAnthology for @CBSThisMorning’s #SundaySessions. Watch the full video at the link in bio. CORRECTION: A previous version of this article incorrectly stated the outcome of Lindsey Buckingham’s lawsuit against Fleetwood Mac. The suit settled out of court. NTD regrets the error.